Let’s go to Germany! We often visit here, one reason being that we regularly have to fly through Frankfurt. 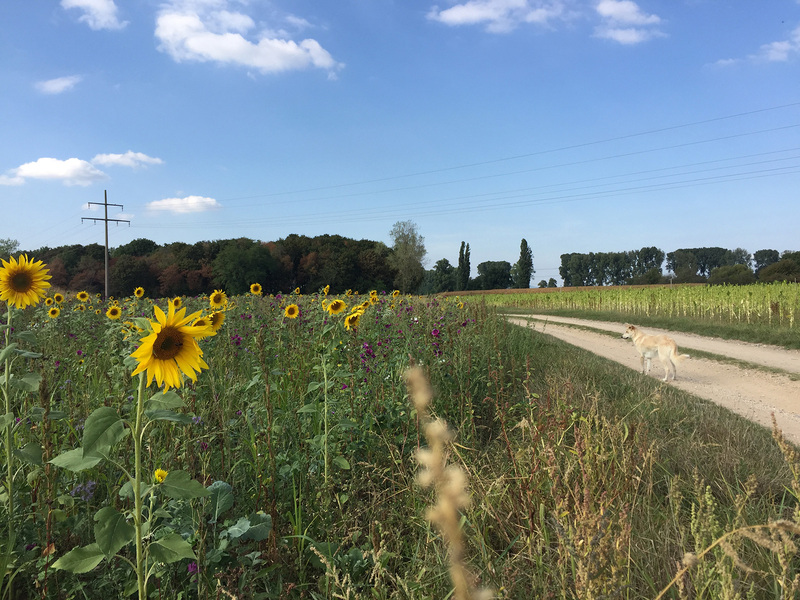 More importantly, we visit southwestern Germany because we have a lot of friends there, and we’ve spent quite a bit of time there. 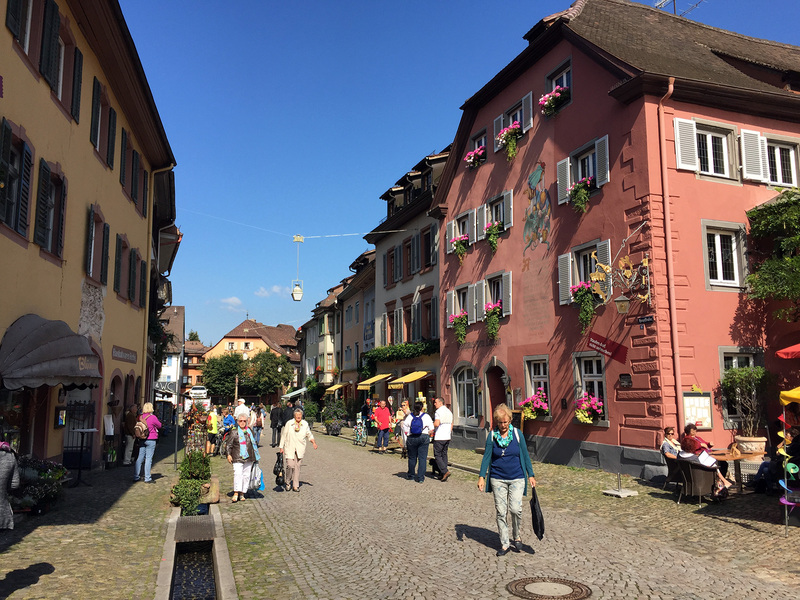 We end up going to the village of Staufen im Breisgau a few times per year. This allows us to hang out with our good friends, whether between flights or just to chill and get some much-needed relaxation. 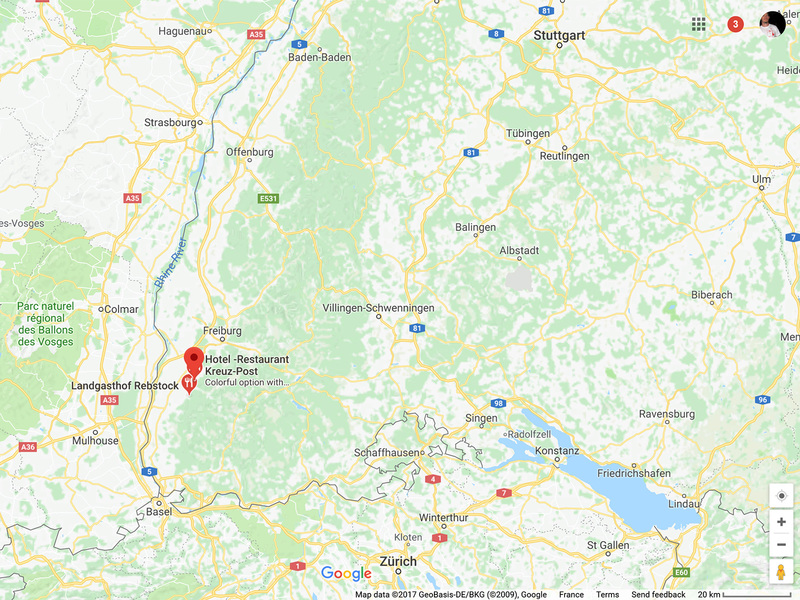 Staufen is situated in the Drei Ecke (Three Corners) region of Germany-Switzerland-France, way down in the southwestern corner of the country. 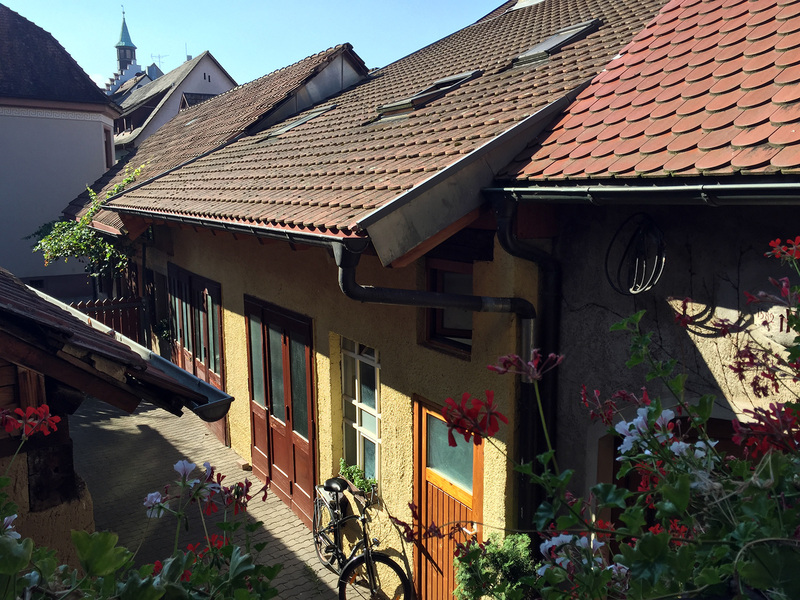 It’s only a quick drive to both Basel and the French city of Colmar, and 20 minutes from Freiburg. It’s also the doorway to the Black Forest, so it’s got a lot going on. The town might only be 12,000 people, but because of its location, it has a lot of services and a lot to see. We’ve actually been three times this year, but all of these photos are from our first two visits. Enjoy some shots we took in between doing absolutely nothing! 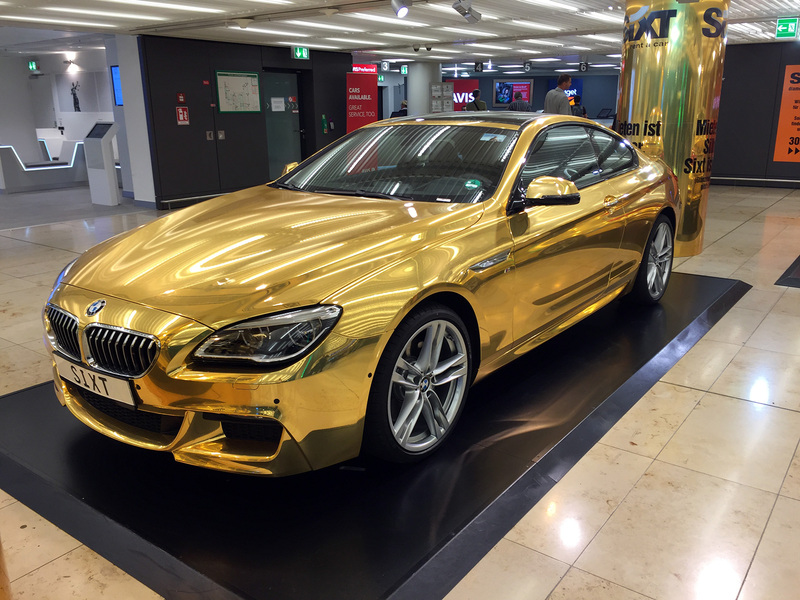 First off, we had to avoid these gold-plated BMWs at the Frankfurt airport to get to our more modest rental car. 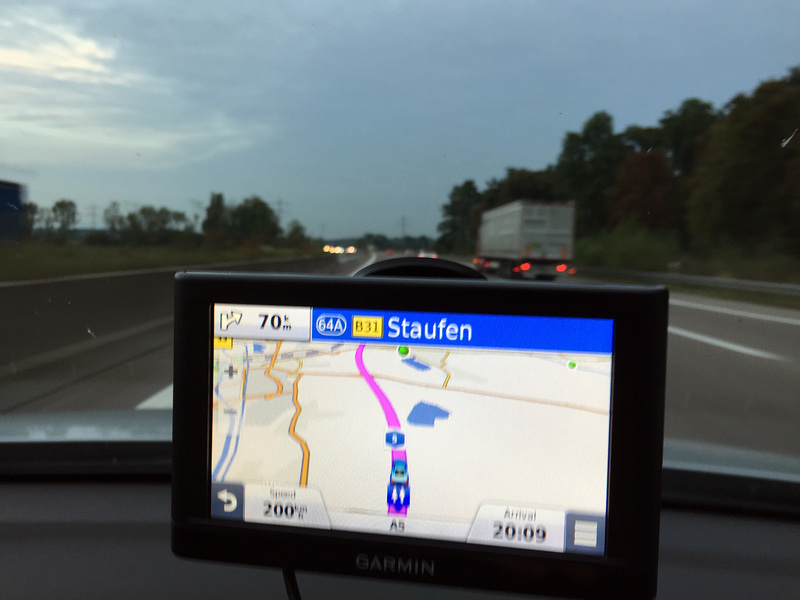 Alas, I did have to drive fast – because Autobahn – something I always enjoy. 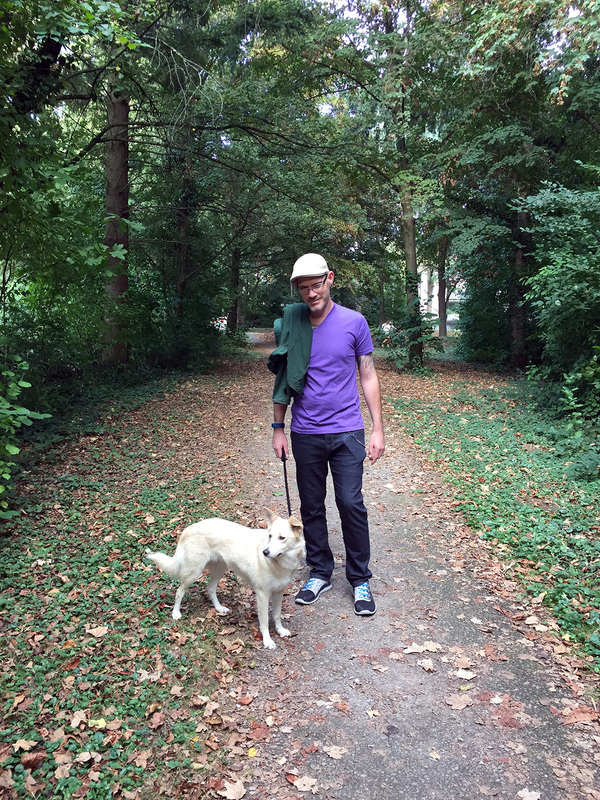 It’s rare around Frankfurt due to all the traffic, but I managed. 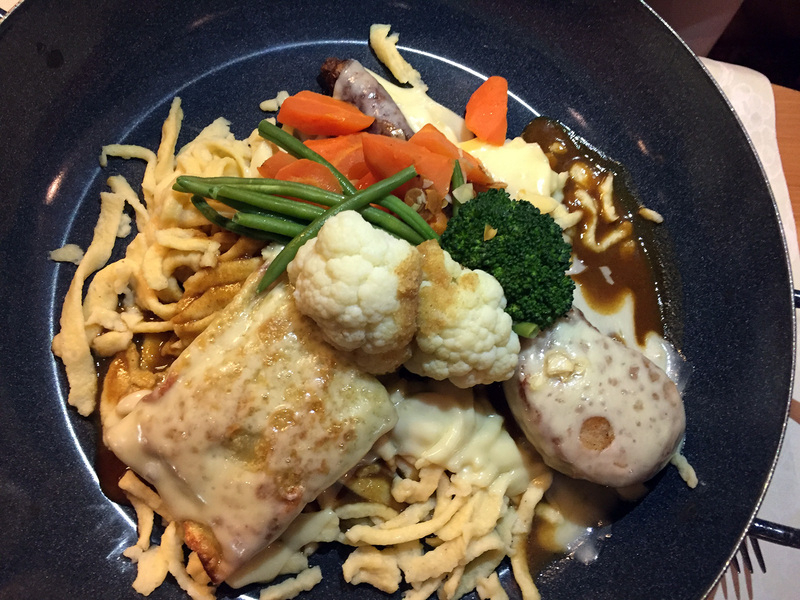 After making it to Staufen, we usually get together with our pals for some delicious food. 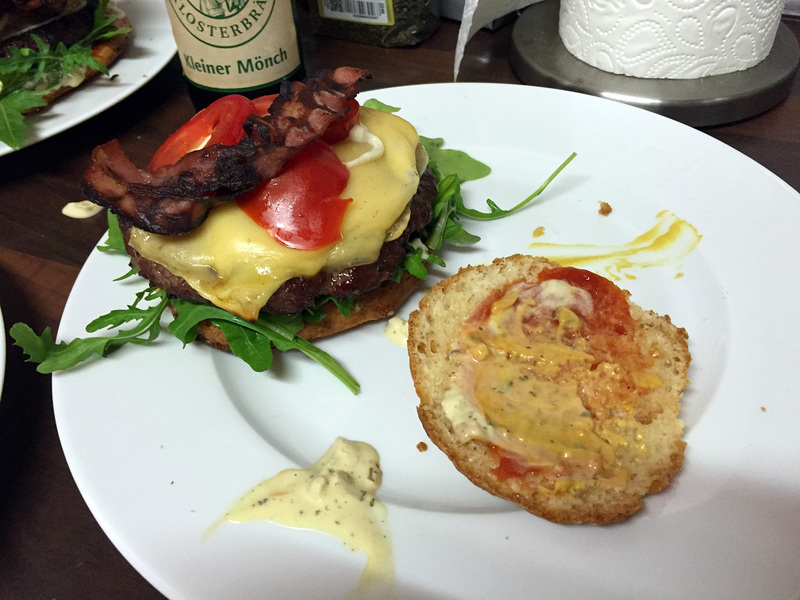 Our pal, David, fancies himself a burger professional now that Ang taught him all the tricks of the trade, so he was nice enough to grill for us one night after a late arrival. 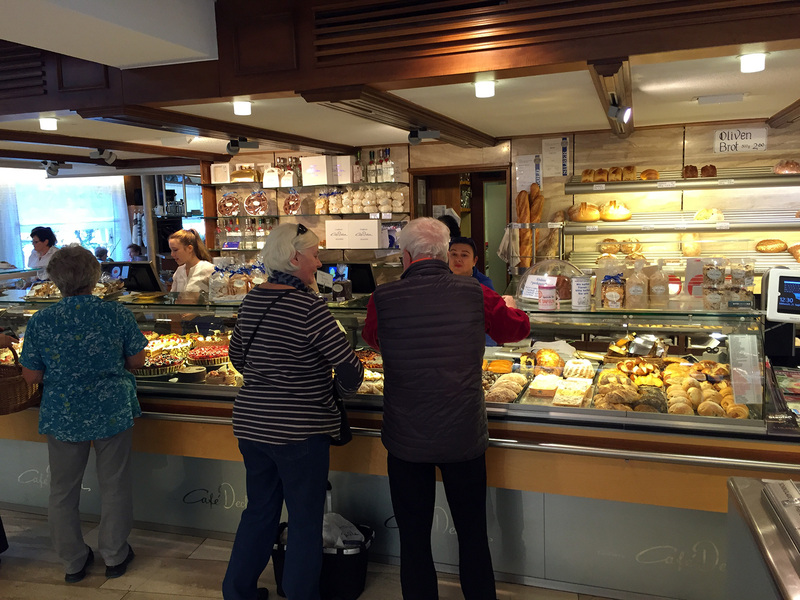 Cafe time is always key as well, and this place across from our hotel is always more convenient than good. We enjoy watching grandmas drink beer while we’re still on our morning coffee. Hey, retirement! 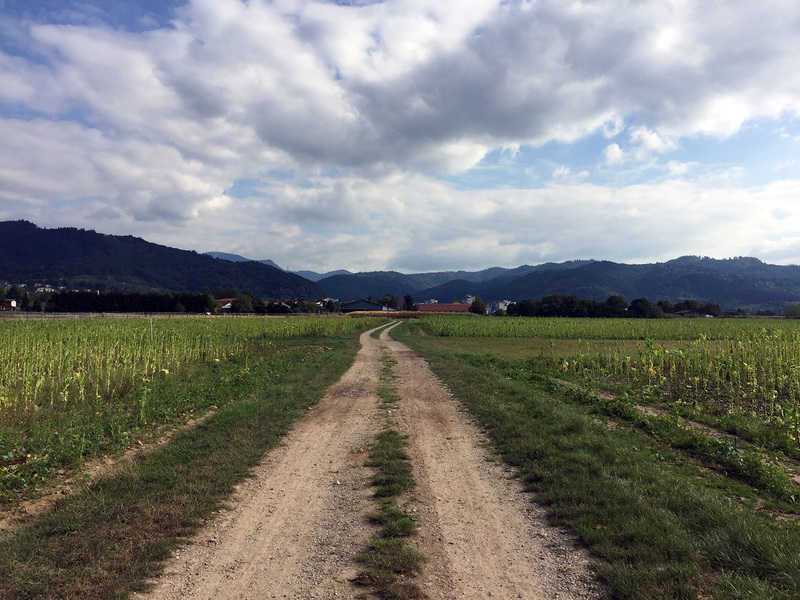 I love Staufen. I love how it looks and I love going. I mean, come on. That’s the old castle ruin up there in the middle. We’ve climbed it so many times that we’re totally done with all that vertical jazz. Now, we just look at it. Ha. 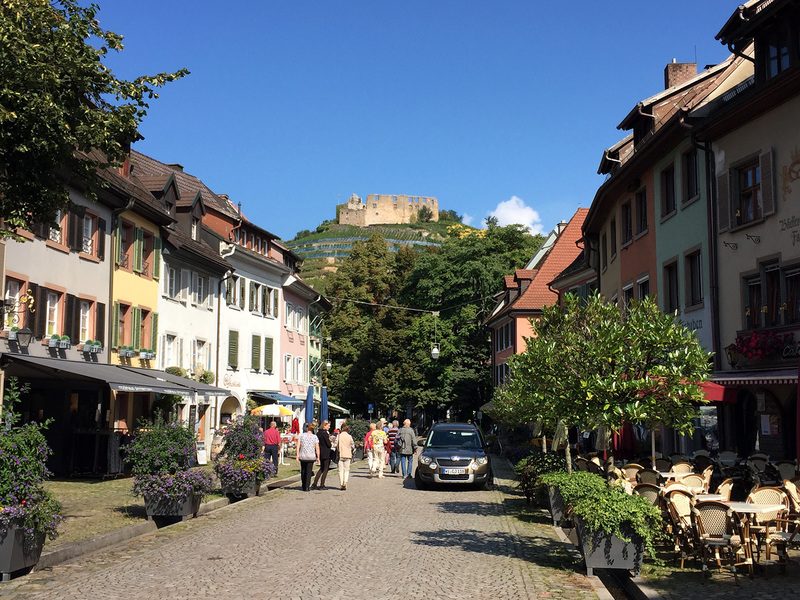 You’ve gotta hit up the Decker bakery when you’re in Staufen as well. They have all the goodies. 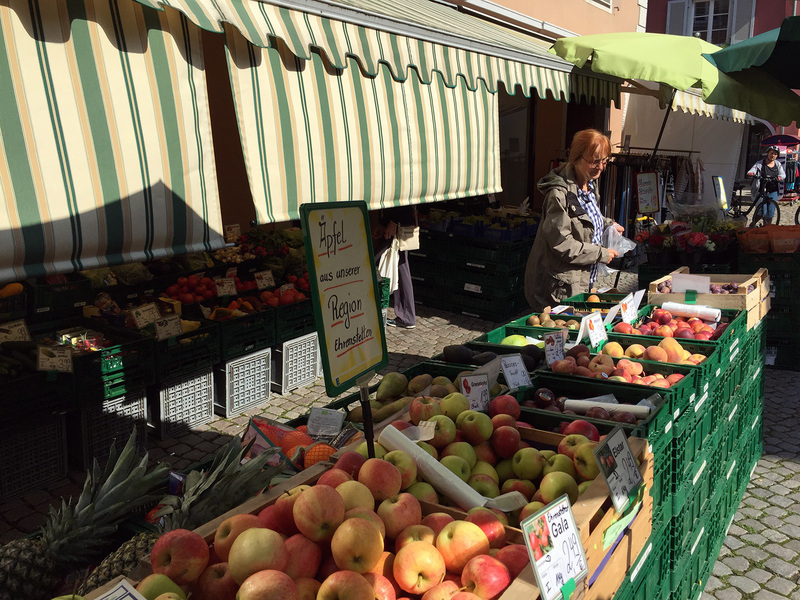 You could grab some fruit at the market, too, if you’re feeling some healthy balance. If you’re lucky, you might happen upon a band playing in the central square. 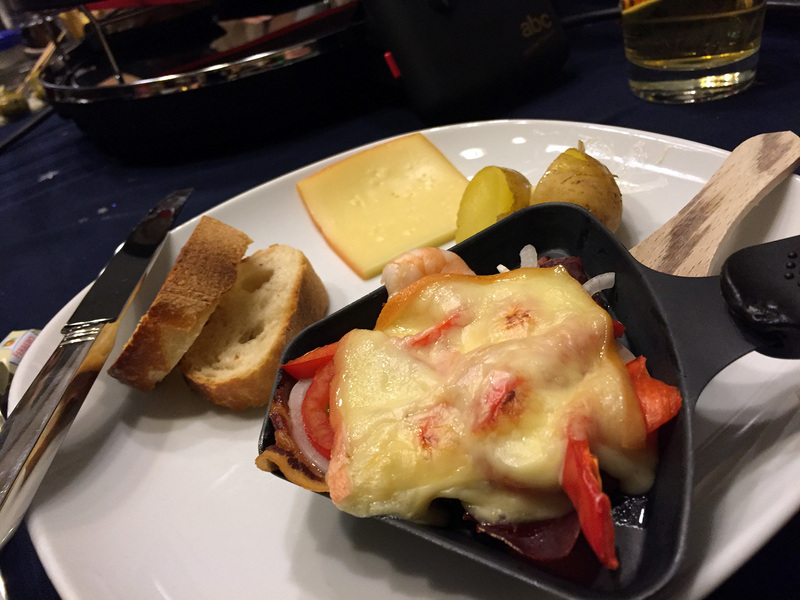 If you’ve never had a go with raclette, I cannot recommend it enough! Cop one of these joints on Amazon or something. 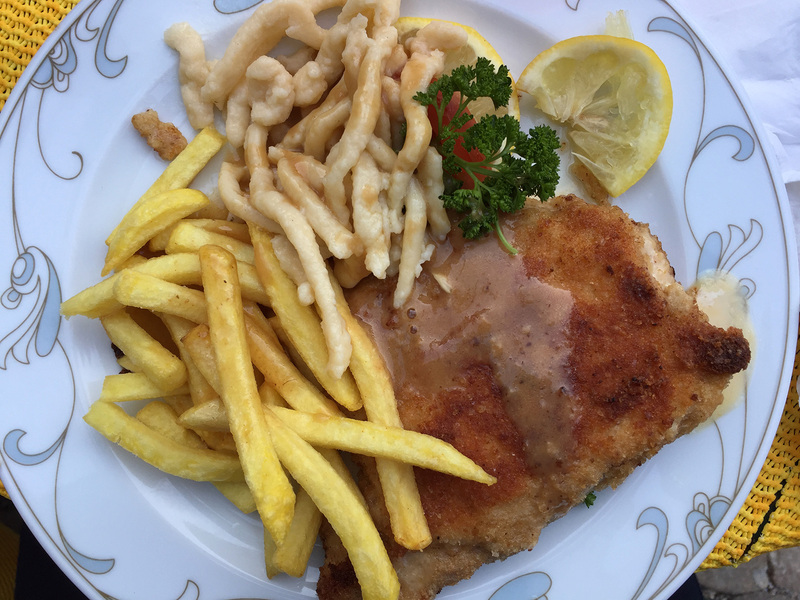 Naturally, we always have to hit up a local Gaststube for some traditional, southern German cuisine. This means cordon bleu! 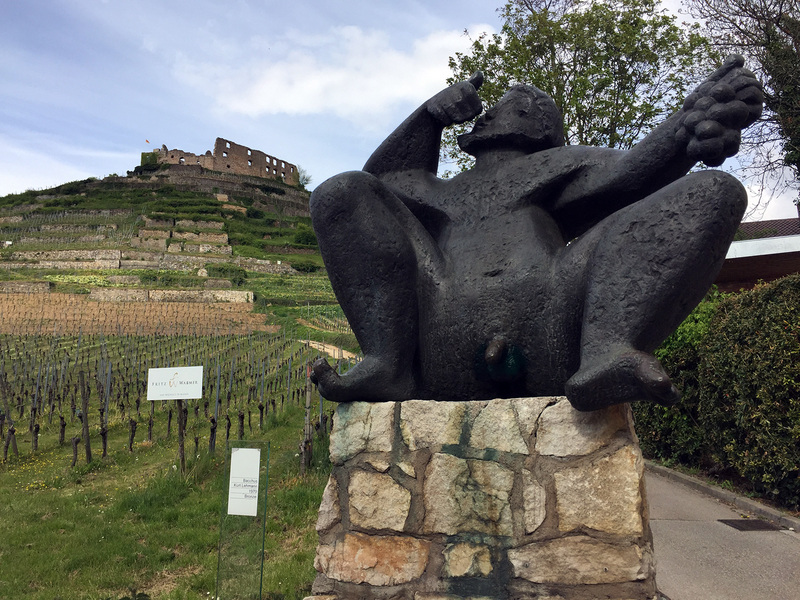 My favorite in Staufen is at Zum Löwen, but there are a few gems to choose from. 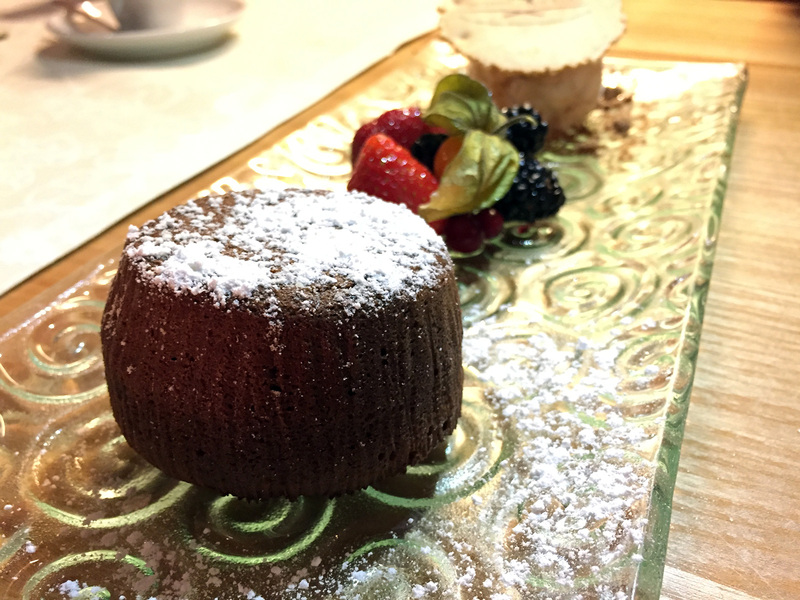 And, of course, other treats. 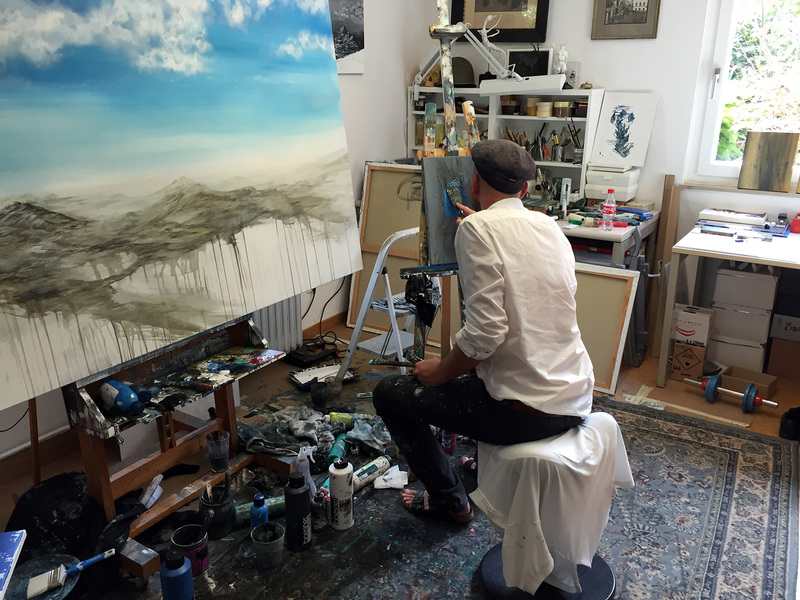 On a completely separate day – I swear! 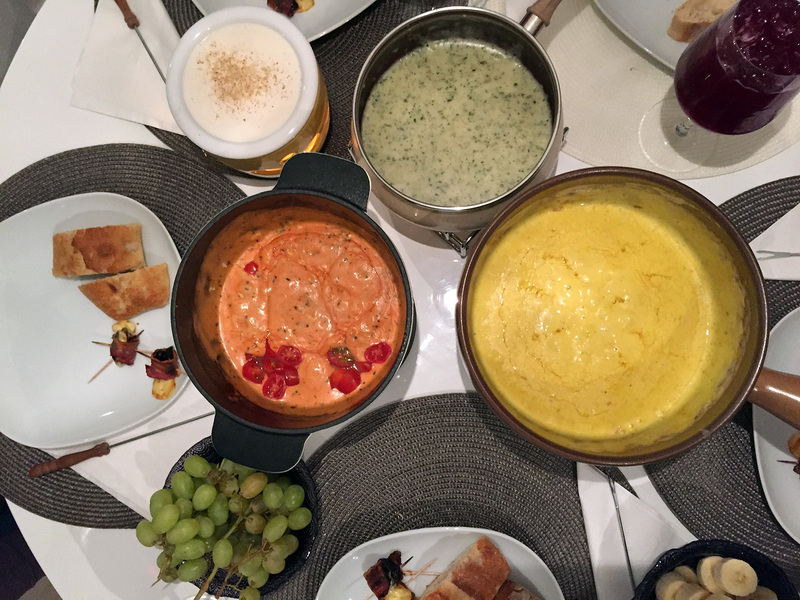 – our friend, Viviane, had us over for a wonderful meal of four different types of fondue. Talk about over the top. It was so amazing, though. 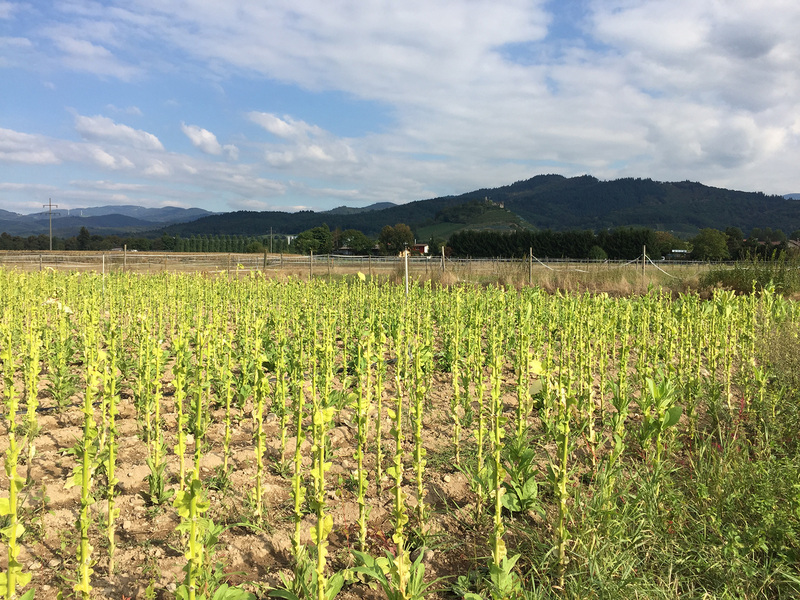 Of course, we had to have a meal of traditional white asparagus with our friends. 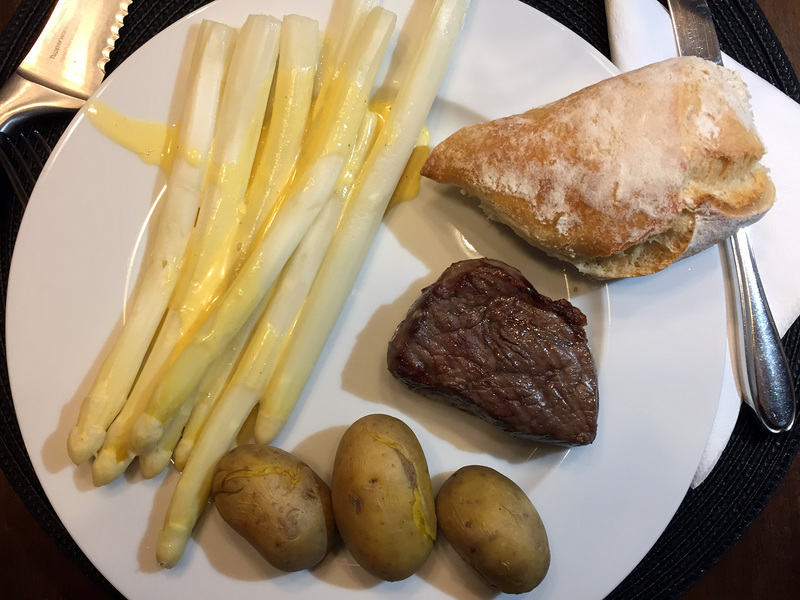 Viviane and her mom, Christine, made a wonderful plate of white asparagus with filet. So. Divine. 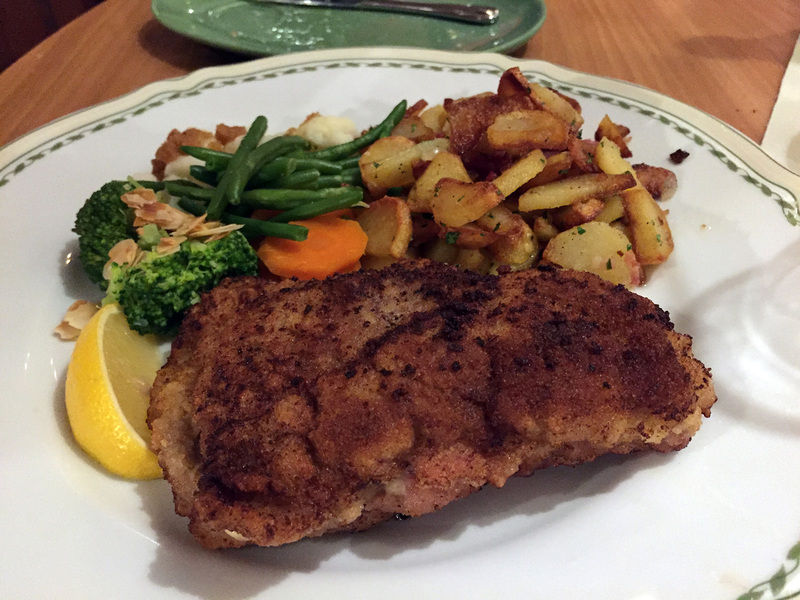 I also recommend Zum Hirschen, which has a tasty cordon bleu as well as other treats. It’s a shame this wine tap doesn’t work. Ha. 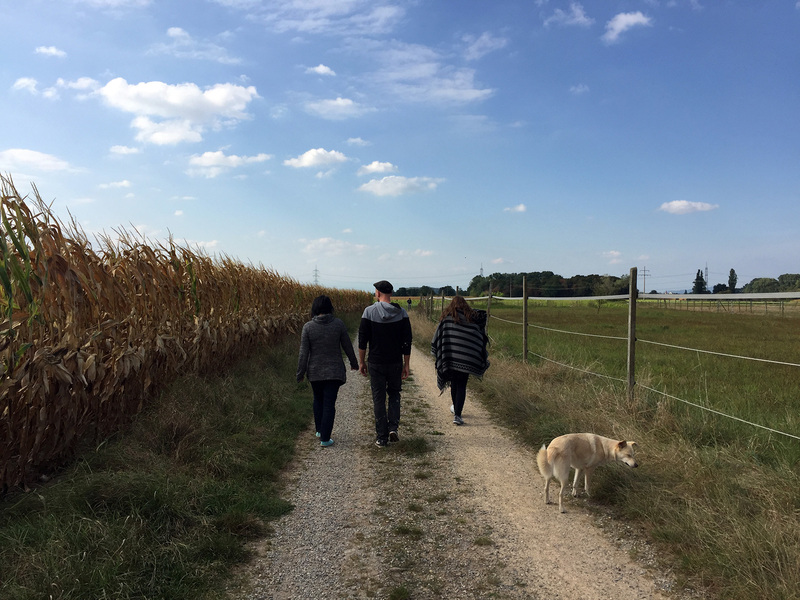 After eating so much delicious food, it’s probably a good idea to take a long walk. Fortunately, it’s easy to do here and almost always scenic. Take the dog, too. 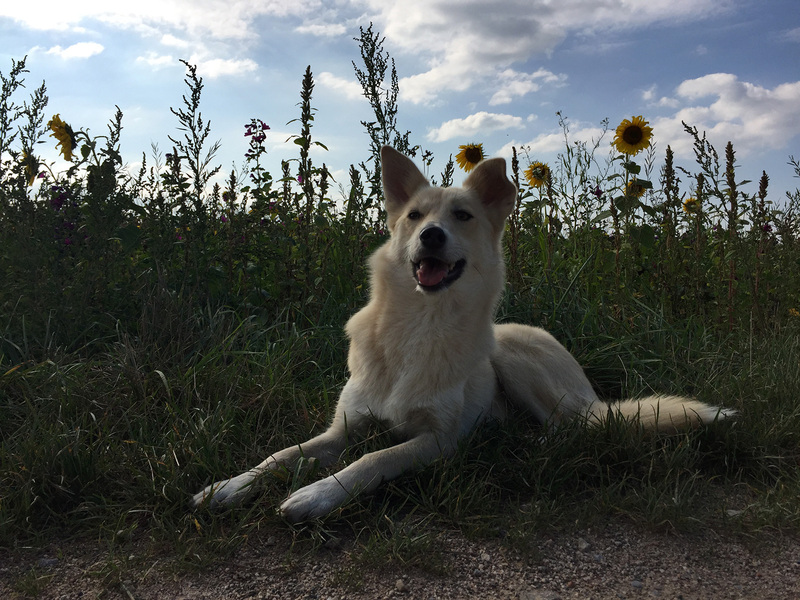 Meet Leyla. She’s the bestest. 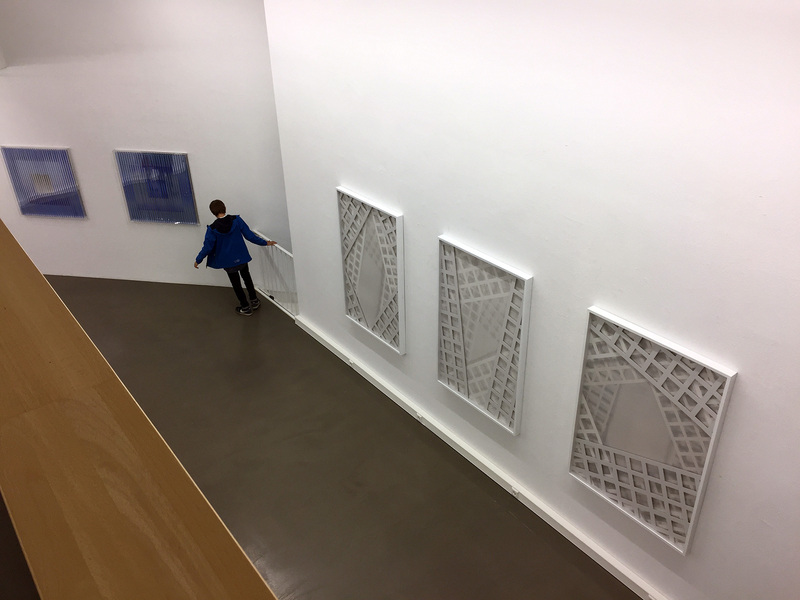 We also went to another artist’s opening at the fine art gallery Haus der Modernen Kunst. 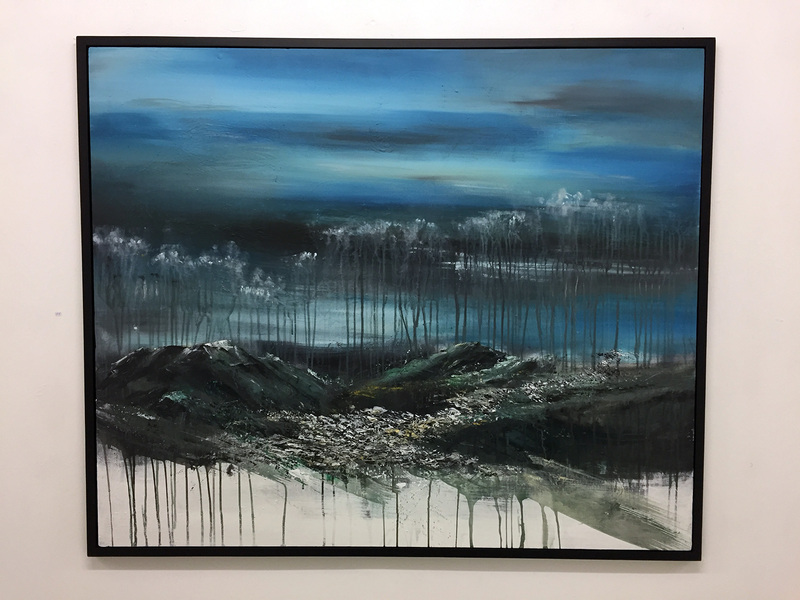 There was some great work here, as they show some of the best contemporary artists in the world. We had to shoot a lot of photos at David’s for our Hopsmash project, and Leyla wanted to get in on the action. 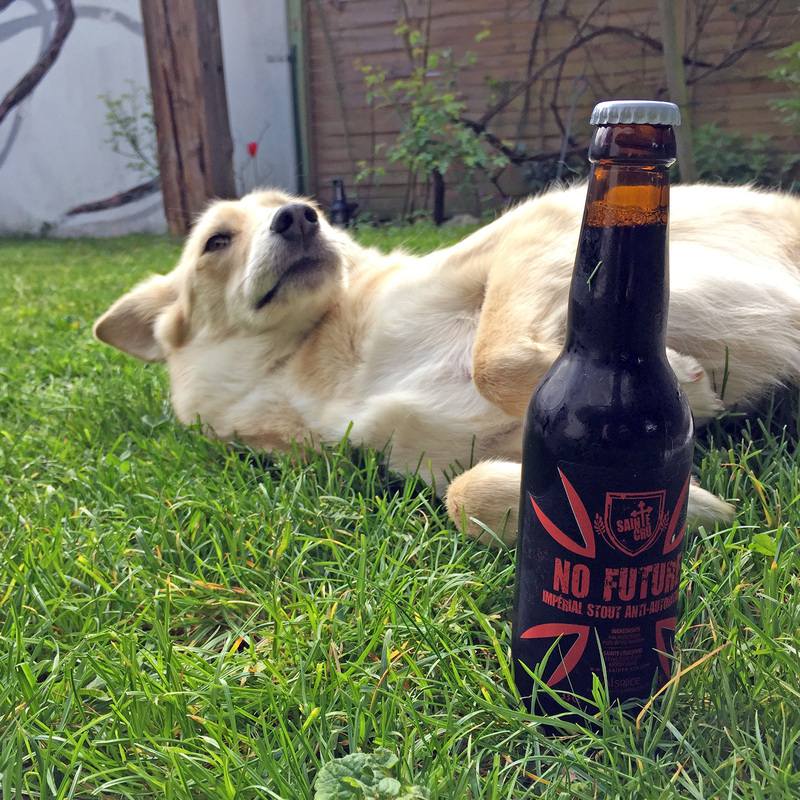 Here she is with a No Future imperial stout by Alsatian brewery Sainte Cru, which is based just across the river in Colmar, France. 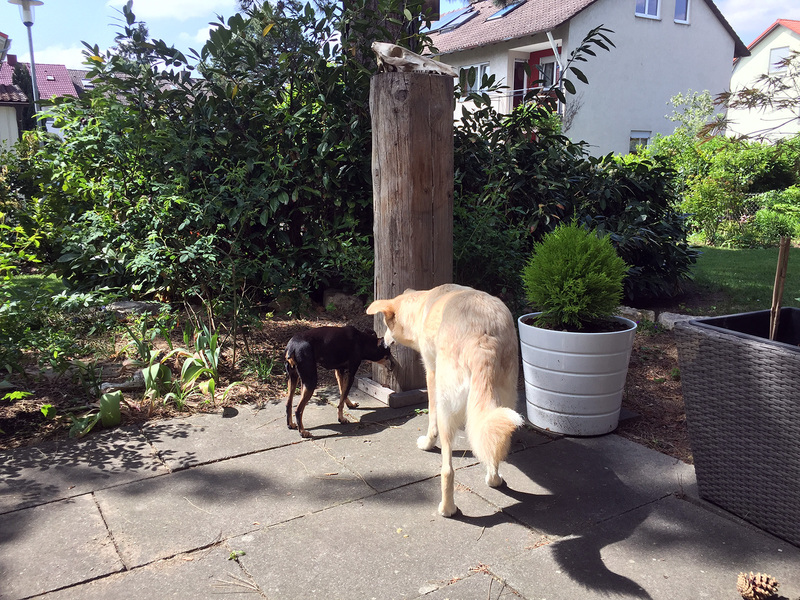 Sometimes, we can get both Leyla and Louis to hang out. If you know us, then you know Louis isn’t exactly the chill dog type of dog. He doesn’t really act like a dog most of the time he’s awake. To my chagrin! And there you have it! 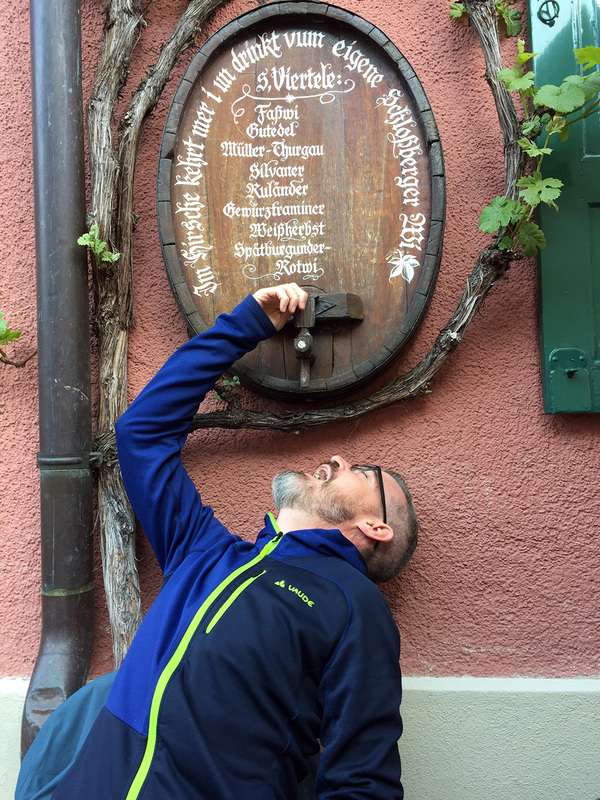 As you can see, Staufen is a great place to be. 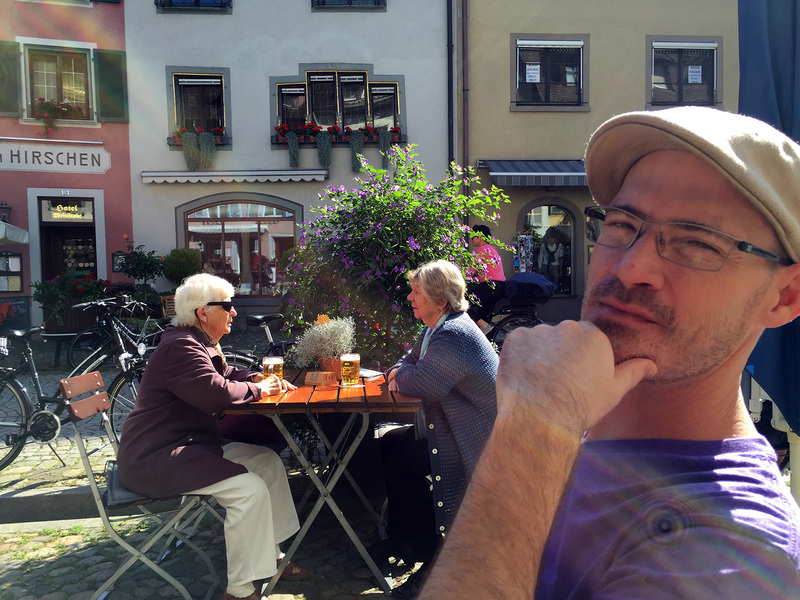 Loving friends, delicious foods, a charming town, great scenery, and more. See you next time! 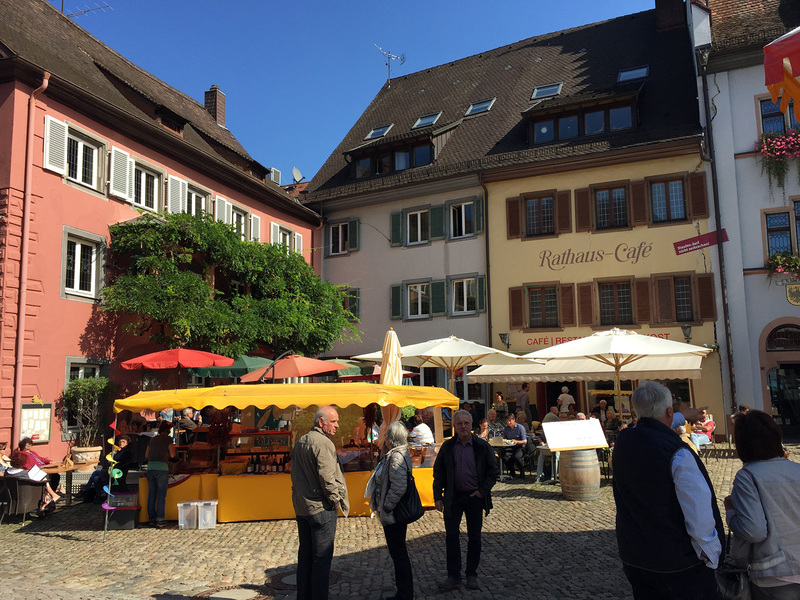 Be sure to check out our Colmar post here, and our other Germany posts here. 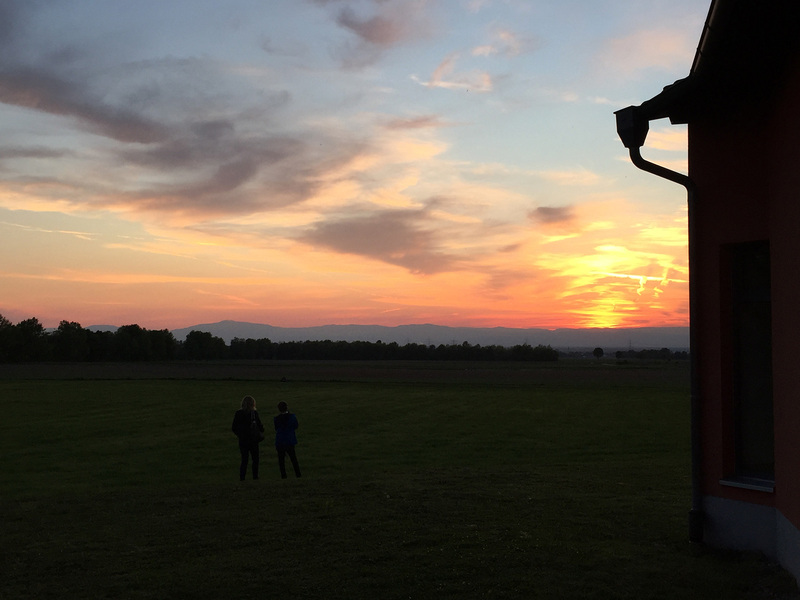 A very special and very big thanks to all the fine folks in Staufen, and to our friends for always being wonderful and loving hosts. 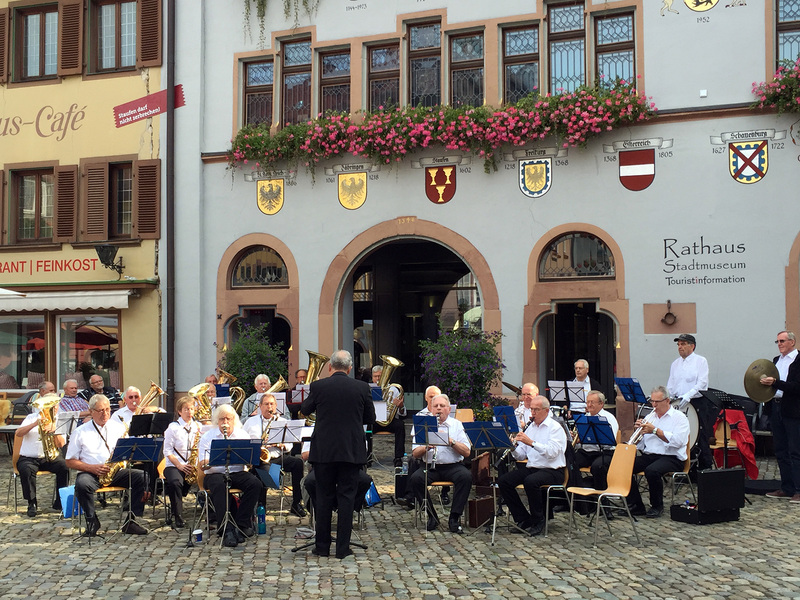 Have you ever been to Staufen im Breisgau? If so, what’d you think? If not, what say ye? Let us know your thoughts in the comments! WONDERFUL photos! You were well and truly fed! !